Dubai one of the world’s most opulent destinations – are spoilt for choice when it comes to seeking luxury. The city has become one the most popular playgrounds of the rich and famous, and has made many a statement with several of the world’s tallest buildings, man-made islands and even a huge indoor ski slope and all this in the middle of a desert. Here are five luxuries you won’t want to miss on a visit to Dubai. Unlike anything you have seen in the world, Dubai’s Gold Souk is a market that showcases seemingly endless amounts of gold jewelry. 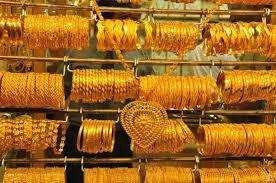 Dubai is known for really cheap gold — but you'll have to haggle for it. Whether or not you're ready to buy, a stroll through the dazzling Gold Souk is a must. The stores also offer platinum, diamonds and occasionally silver, and the government keeps tight control over the quality of all the merchandise, so rest assured that your purchases will be genuine. (The same cannot be said, however, of the street vendors outside hawking "genuine fake" watches and "Guuci" handbags.) If something in the window catches your fancy, be sure to barter — persistent protest capped with a walkway will get merchants to drop their asking price by as much as half. Less atmospheric, but even cheaper, is the Gold & Diamond Park, where you can find unique designs or get jewelers to recreate pieces for you at a fraction of the cost of the original. 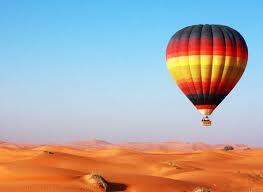 If you still have a head for heights, then why not see Dubai and the surrounding desert from a hot air balloon? Leave the glitz and glamour of Dubai behind and join this early-morning hot-air balloon expedition deep in the heart of the desert. Rising early to see the desert is something you'll never forget! Prepare for an exhilarating flight with unrivaled views as you enjoy a magic carpet ride over giant red sands, emerald green oases, gazelles and wandering camels. Wake up early and watch the sunrise on this one-hour Dubai balloon flight deep into the heart of the desert Unforgettable views. Personalized flight certificate for every passenger, signed by the Pilot-in-Command. 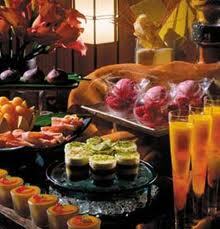 To brunch in Dubai is a way of life, the weekend starts early on a Friday with an all-you-can-eat and drink mentality. If you are holidaying in Dubai and visiting on a Friday, you must experience the traditional 'Friday Brunch' which has now become a standard feature across Dubai. Friday is the first day of the weekend and a religious day; therefore you'll find most places of interest shut during the morning to allow for Friday prayers. In the past, major shopping malls would only open from 1pm, but now laws are more relaxed and the malls do open earlier. You will find many expats choose to stay up late on a Thursday and relish the lie-in and slow Friday start with a trip to one of the Brunch haunts in the majority of Dubai hotels. Brunch normally starts at 12.30 and it is advised not to eat anything before you arrive. You will be greeted with a feast of food - that will be hard to absorb, even with just your eyes! If it’s your first time, go for one of the mid range options where you know the food is of good quality and variety and if with children, there are deals and of course activities to keep them happy. If you really want to splash out, go for one of the top five star hotels that offer a champagne brunch with all the trimmings (non- alcoholic package will be available and cheaper), this will really be the icing of your holiday and will leave you so full, you'll be on salad and soup the next day! Be sure to make a reservation beforehand for any Friday Brunch venue.